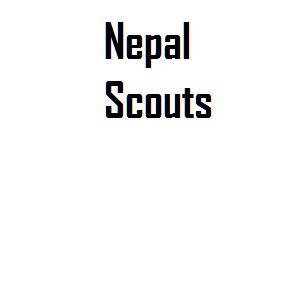 Nepal Scout was established in 1952 AD with its headquarters in Lainchaur, Kathmandu. It was recognized by the World Scout Conference in 1969. Now, it has spread all over the country. There are over 32,000 scouts in Nepal. According to him, �The aim of scout training is to improve the standard of the future citizen hood, especially in Character and Health; to replace self with service to make the lads individually efficient, morally and physically, with the object of using that efficiency for service for their fellow-men.� For the fulfillment of this aim, Scout has a promise and law which provide a framework under which all the Scouting activities exist. The Scout is an international organization. It was founded by Lieutenant General Robert Baden-Powell of England in 1907 AD. It is now probably the largest voluntary organization in the world. There are millions of scouts in about 182 countries. It is a non-political organization opened to both girls and boys. They wear the uniform with a scarf. Boys wear dark brown pants and light brown shirt and girls green frocks or saree. It may differ from country to country. Scouts were founded with 20 members in England 1907, there are more than 16 million scouts in 150 countries now. Waden Powell was the founder of the scouts. He was a soldier and involved in the war in South Africa. He was famous for protecting Mafeking town for many weeks He was sick and did not get food for long. He was worried about the English Children who did not have the opportunity of experience a country. He wanted to develop leadership and group working skill and responsibility on them. He also wanted to make them help others and involve in creative and challenging activities. He had a wish that they would live dutiful life. In 1907 he organized a camp gathering 20 youths. In 1908 he published a book named �Scouting for Boys. Scouts units started to be organized in different countries. Some girl’s scouts were also involved in the scout activities. Women scouts are called Girls Guide in different countries but we say scouts both for men and women in our country. The logo/emblem of the scouts is given in the picture. The scouts do the similar activities in the world but the scout’s organizations are free in each country. In 1993 AD Nepalese parliament passed Nepal Scouts Bill that aims to strengthen Nepalese Scouts. Boy’s scouts in Nepal wear light grey shirts with bright grey pants. Girl’s scouts wear either sari or both boys and girls tie the scarf as their company colour in their neck. All the scouts take devotion to performing duties to the nation, help others and obey scouts regulations. All the scouts learn different skills. They involve in playing games, excursion, challenging activities in lonely places and helping people. They involve in tree planting drinking water supply and health education activities in our country. They get batch as the rank. A well-trained scout always remains cheerful. In some countries, girls are called guide, but in Nepal, both are called scouts.